The future of recruiting for public agencies is becoming a critical problem for human resource managers. In the Center for State and Local Government Excellence’s recent survey of more than 330 public human resource managers, the majority of respondents cited recruiting and retaining top personnel as one of their top concerns. Recruiting qualified personnel with the needed skills for public service was identified as the most important workforce issue for the future of public organizations. Social media innovations have been utilized by HR managers at all levels of government to address recruiting issues. However, public managers are more hesitant to employ Facebook, Twitter, LinkedIn and other social media platforms in recruiting efforts compared to their private sector counterparts. A 2015 study of social media practices in local governments across the U.S. by Shannon Tufts, Willow Jacobson and Mattie Stevens found there has not been a pervasive trend of social media in human resource departments. Only 14 percent of the governments participating in the study used social media platforms to post job opportunities. In contrast, a 2012 international study of companies in the private sector found that 43 percent of companies with less than 500 employees used social media for recruiting and identifying candidates. Public hiring managers must begin actively incorporating social media tools into their recruiting strategies in order to attract this generation’s top talent to public service. A strategy that includes social media, in conjunction with other recruiting practices, will be a more robust approach toward meeting long-term, organizational hiring goals. The millennial generation of 18-34-year-olds now comprises the largest share of any generation in the American workforce. Millennials have grown up actively communicating through social media’s evolving networks. The role of this tech-savvy generation will only continue to grow and inhabit the workforce. The research by Tufts, Jacobson and Fields also found numerous benefits to tapping social media platforms for recruiting efforts. Sites like Twitter and LinkedIn can be used to identify, attract, recruit and diversify an agency’s pool of applicants. An agency’s social media pages can be utilized by HR managers to advertise and update open positions. Posting job openings on social media is often cost-effective for organizations. Many social media sites don’t charge fees when users create and update their profiles. Social media platforms empower HR managers to more proactively recruit. It is no longer necessary to wait for applicants to make the first contact in positions that are hard to fill. A wealth of information about a candidate can often be gleaned from public social media pages. Individual public profiles can be searched for qualifications and evaluated for person-organization fit. Sites like LinkedIn and Facebook make it easier than ever for decisionmakers to seek out desirable candidates. Government agencies can also more successfully sell their workplace cultures through social media in order to influence the job-searching decisions of qualified and talented candidates. The Partnership for Public Service, a nonprofit and nonpartisan civil service advocacy group, encourages agencies to share their workplace stories on an ongoing basis through social media even when they are not hiring. This practice further generates interest in careers at an agency and attracts candidates when jobs do open up. Increased anxiety levels over liability issues are likely the main reason for the gap in the utilization of social media networks in recruiting between the private and public sectors. 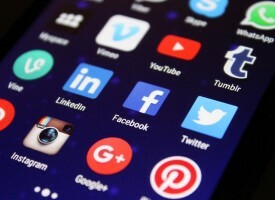 There are a unique set of liability concerns and uncertainties for public human resource managers surrounding social media platforms. Recruiting practices that blur the lines between privacy and discrimination are the most frequent violators at the center of liability claims. Human resource managers should confront their questions and uncertainties about social media in order to realize the benefits that can be gained with these recruiting platforms. Training programs that educate HR managers about the risks associated with the usage of social media in HR processes can help ease organizational fears and encourage best practices. It’s past time for public hiring managers to integrate social media tools into their recruiting strategies. The threat of failing to attract the best and the brightest into public agencies is substantive. Current regulations allow for public HR managers to take advantage of social media platforms for recruiting purposes. Agencies can join the social media platforms that make the most sense to them and that they can update frequently. Online tools are cost-effective and readily accessible. A sole reliance on more traditional human resource practices by public recruiters takes an unnecessary and risky gamble on the future of public service. I enjoyed reading your article. As social media has become a normal day to day hangout for many potential candidates, I do believe that social media can serve as a rich venue that public agencies can utilize to advertise and recruit. However, I would be careful to be selective of the appropriate social media to utilize as an area for recruitment. I would find that LinkedIn would be the most appropriate, while advertising for job opportunities on other sites can prove to be very helpful in reaching out to potential candidates. On the other hand, some organizations use information from social media to determine hiring decisions; which I think can either be effective or misrepresenting for a variety of reasons. A persons private life does not necessarily equate to their ability to perform the job functions, many inferences can be derived from social media posts, and perhaps it can also incite biases in hiring decisions. Bottom line, I believe social media should be utilized, but with some degree of vigilance.